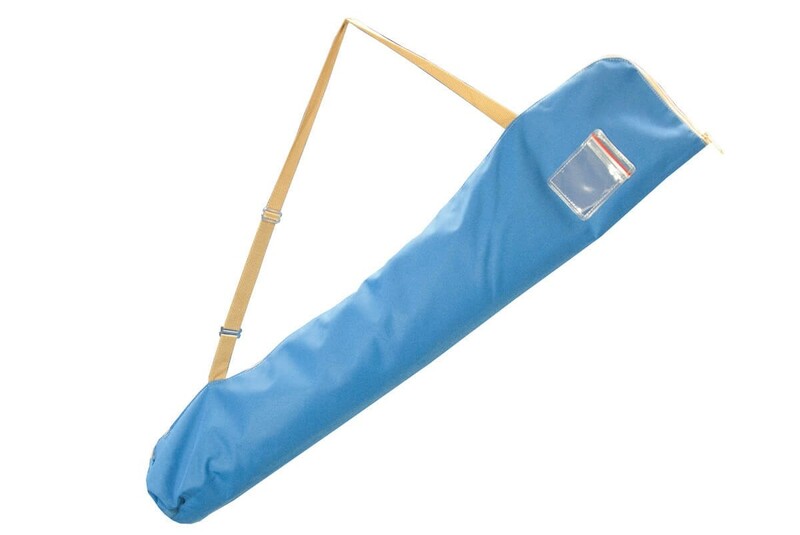 The best value for a 4 foot open back fitted economy table cover you will find. Upgrade to All Over Print for NO UPCHARGE! Covers the top and 3 sides of your table. Table Dimensions: 4ft length X 24-inch width X 36-inch height. 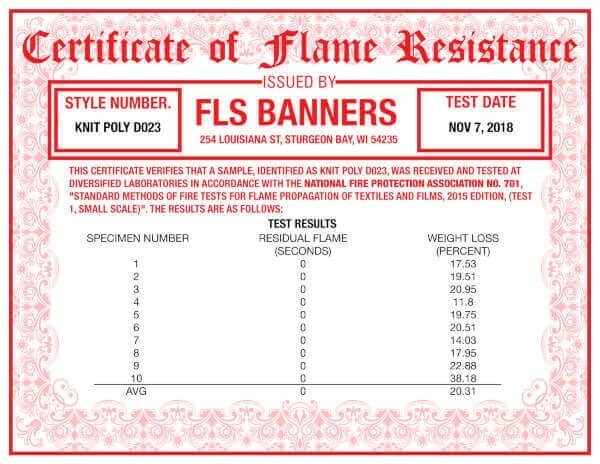 Complies with NFPA-701 when Certified FR option is selected. 4-foot wide table cover for a 24-inch wide by 36-inch high table, custom made from economy weight polyester fabric. 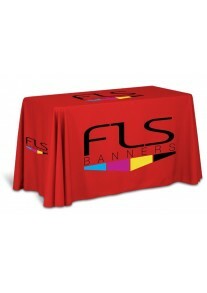 Fitted table covers create a clean look with a more secure fit. 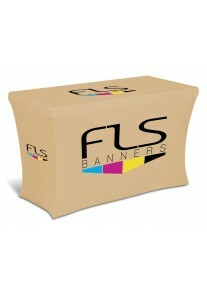 This economy fitted demo cover will cover the top and 3 sides of your table to just above the floor. 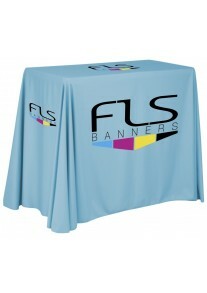 Our knit poly economy fitted demo cover is the benchmark for value in polyester table covers. Our knit polyester offers an economical option without looking like you were on a budget. The cover is 100% polyester that is machine washable. The print is directly dyed into the fabric via dye sublimation to ensure vibrant and hardwearing color. When it comes to printing no one offers more options. 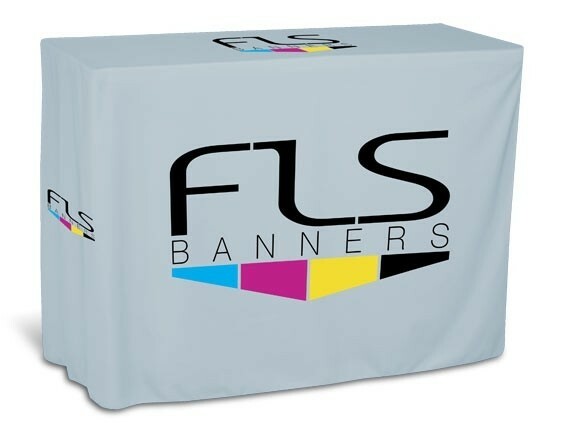 Not only can your logo be printed on the skirt of this 4 foot economy fitted demo cover, but you can request multi-location or multiple logos printed in full color for NO EXTRA CHARGE! 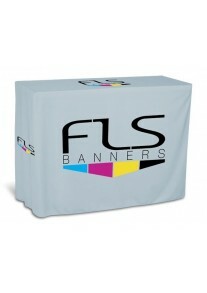 Will you be exhibiting your economy fitted demo cover table cover at a trade show or conference? 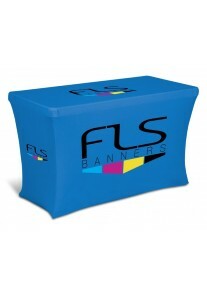 Get the maximum impact for your brand or company by adding custom printing to the top and all sides. 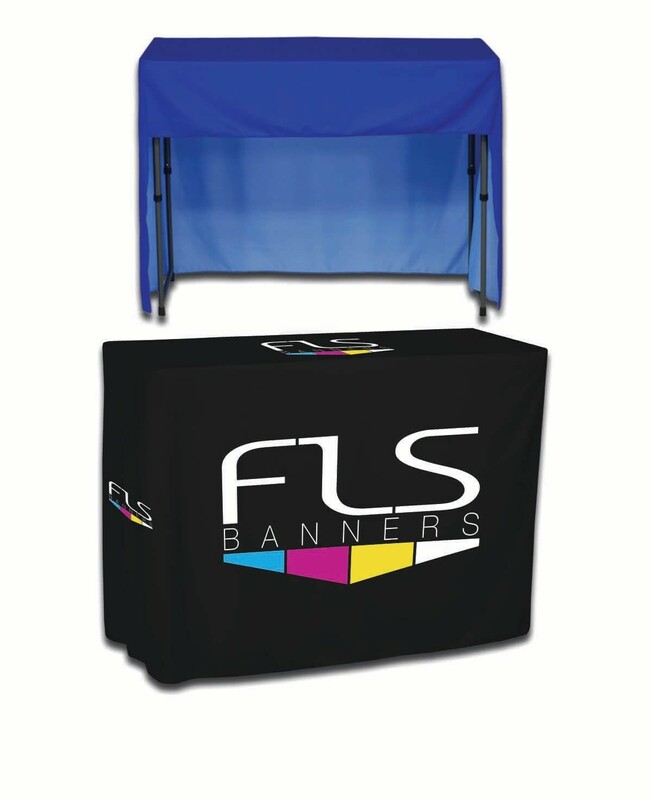 Alternatively, customize your trade show table cover by creating a truly creative design that encompasses the entire cloth. In addition to offering full coverage printing for no additional cost, we also utilize a minimal seam construction method. 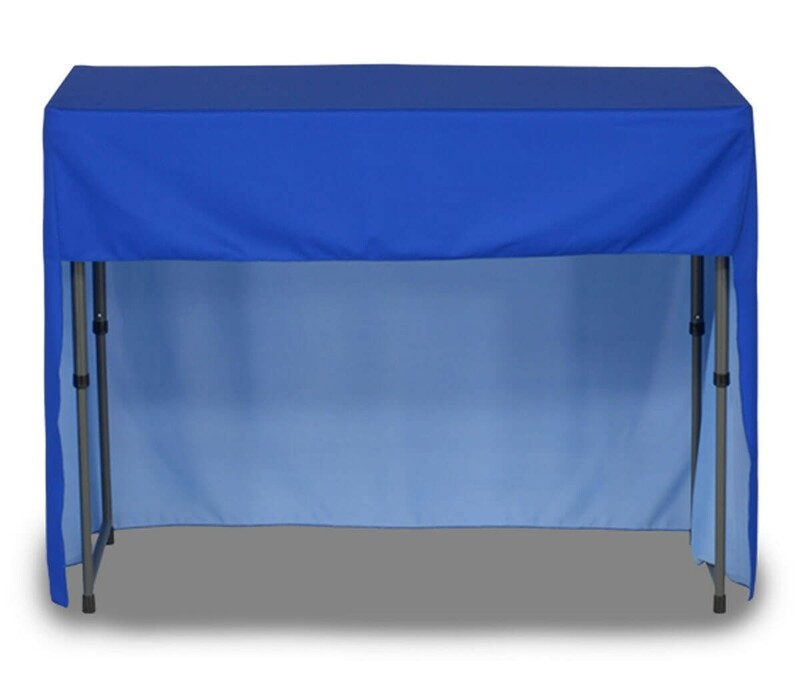 Order your custom 4-foot economy fitted demo cover table cover now, or contact one of our helpful table cover experts if you have additional questions.